What are the features of The Tornado™? How long does it take for the computers to start communicating with each other? Normally, it takes only a few seconds after you plug in the cable ends for you to see the entire contents of the other computer on your screen. Actual time depends on user's computer configuration. Does the Tornado™ move files from one computer to the other or does it copy them? The Tornado™ copies files from one computer to another when you drag and drop files from one computer to the other. The files and folders remain on the computer that you're moving them from. Using the cut or delete function will remove the files from the computer that you're cutting or deleting the files from. To securely remove files and folders from your old computer, use Data Drive Thru's PC Eraser™ program to wipe the files completely from the hard drive using US Gov't Dept. of Defense standards. Go to http://Eraser.TheTornado.co.nz. By just deleting the files using the delete function of Windows® operating systems, a computer expert may be able to recover the files using special software. Data Drive Thru?s PC Eraser removes the files in a manner that makes it extremely difficult if not impossible to recover the deleted files. Does it only work on desktop and laptop computers? No. The unique patented device will work on any compatible Windows computer whether it is a server, desktop or laptop type of machine with a USB port. It will even work if one of the computers does not have a monitor or screen. Can I connect The Tornado™ if my computer is running Windows 2000? Yes, Windows 2000 recognizes The Tornado™. Can I connect The Tornado™ if my computer is running Windows XP? Yes, Windows XP recognizes The Tornado™. Can I connect The Tornado™ if my computer is running Windows 98? Yes, but you must have Windows 98 Second Edition and first you need to have the Windows 98 driver installed which can be downloaded off this site for free. Can I connect The Tornado™ if my computer is running Windows ME? Yes, while there is no need to install a driver all other questions and answer for Windows 98 are relevant to Windows ME. Can I connect The Tornado™ if my computer is running Windows NT? No, Windows NT does not support USB devices without custom proprietary drivers. None is available at this time. Can I use the Tornado™ with Mac and Linux? The Tornado™ currently only supports, Windows 98SE, ME, 2000, & XP. Another version of the device due to be shipped early next year will support Mac. Can't I just buy a USB cable and do the same thing? No. The transfer of files and data from one computer to another requires transfer management software and a user interface. A cable by itself cannot provide this, which is why we have filed patents for this very unique combination of auto loading software into an intelligent cable. That's also why computer technicians charge anywhere from $50-80 per hour to do this for you and take up to 3 hours to do what we can do in a few minutes. Do I need Internet access to use The Tornado™? No The Tornado™ only needs a free USB port on each of the connected computers unless you are using a Windows® 98 SE machine which requires a free driver download from this website. Can I connect The Tornado™ to a USB Hub? Yes, you can use a USB Hub to connect The Tornado™ device. Make sure that the hub is self powered and not bus-powered. Can I extend the length of The Tornado™ by using an extension cable? Yes, you can extend the length of The Tornado™ by using a USB extension cable. We highly recommend a USB 2.0 cable. Can I use The Tornado™ with my 1.1 USB Port? Yes, The Tornado™ is backward compatible. You can use it with both USB 1.1 and USB 2.0 Port. When connected I receive the message "A HI-SPEED USB Tool is plugged into a non-HI-SPEED USB Hub." What does this mean? 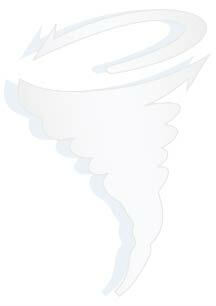 The Tornado™ File Transfer Tool is a high-speed Tool. If the Tool is connected to a product which supports only USB 1.1, you will receive the above message. Ignore this warning and continue using the Tool. Can I store data on The Tornado™? No. The Tornado™ only supports data transfer between two computers or one computer and a back-up device with a USB port. It is not a back-up device in itself. Can I connect more than two computers through The Tornado™? No. The Tornado™ only supports data transfer between two computers or one computer and a back-up device with a USB port. Can I use The Tornado™ as an extension cable? The Tornado™ is currently used only for transferring data between two computers or one computer and a back-up device. Can I use The Tornado™ from a newer PC to an older PC? Yes, The Tornado™ is bi-directional and works either from the old machine to the new one or from the new one to the older one. What sort of security features comes with the device? The split-screen user interface has a security function contained in the System drop down menu at the top left. This enables a "Read Only" mode whereby the other computer can see the contents of your computer but you can't move anything between them without enabling "Share Mode" by simply checking or unchecking the box. Can I move applications over in the same way I move files and data? Some applications can be moved just by moving the folder to the other machine. However, many -- especially Microsoft® products cannot be moved this way. You need to move the data files from the appropriate folder on one machine to the appropriate folder on the other machine. See the FINDING YOUR FILES section of our Website for specific instructions on how to find the files of the most used software applications. I want to move my application data, but I do not know where it is stored. Check the FINDING YOUR FILES section of the website. We will be continually updating this section. If I trasfer a file that has a virus while using The Tornado™ File Transfer Tool, will the virus move to the "Other Computer" along with the file? The Tornado™ File Transfer Tool does not include antivirus software. You should scan both computers with an antivirus software program before transferring files from one computer to another. We accept Visa, Master Card and American Express only. Delivery will be within 2 weeks. An email will be sent when it is shipped and your credit card is charged. What are the return and refund policies?